Tip Top IV is a sleek yacht with comfortable communal areas including a spacious sun deck, and modern amenities such as a TV, DVD player and music system. Tip Top IV is the largest and newest of the Tip Top fleet, constructed in 2006. 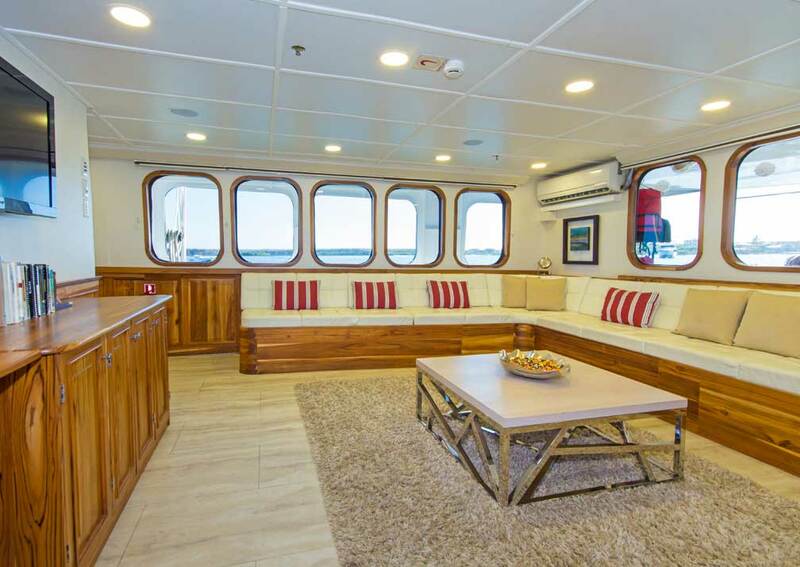 She is a sleek yacht with comfortable communal areas including a spacious sun deck, and modern amenities such as a TV, DVD player and music system. 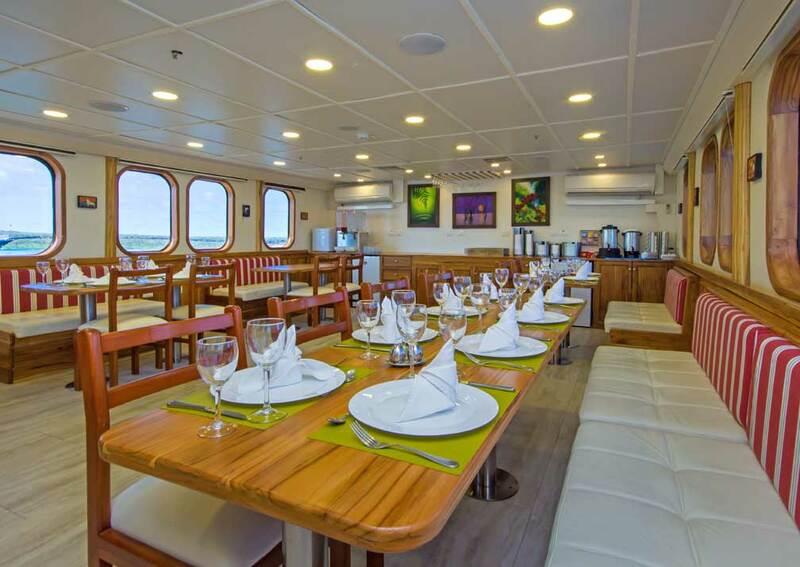 The 10 cabins are distributed over 2 decks, with 6 on the lower and 4 on the upper deck. all have twin beds that can be converted to doubles on request. 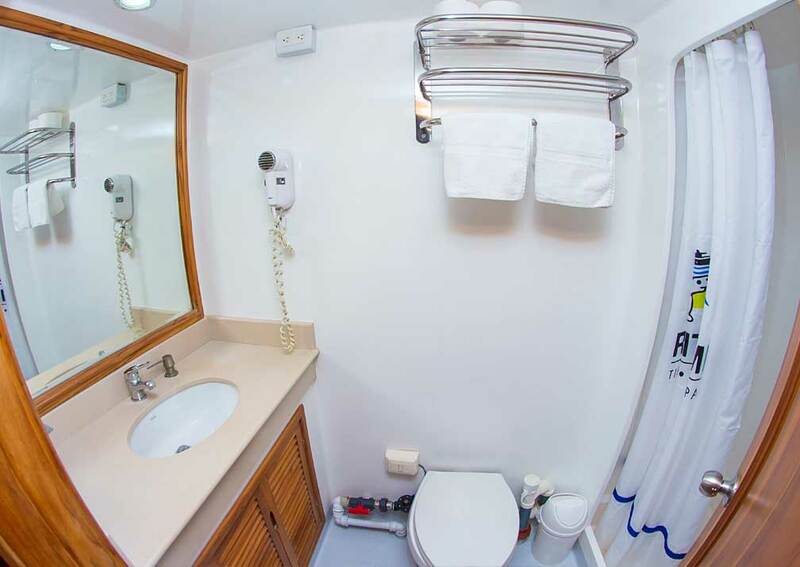 You’ll have an en-suite shower room and air conditioning in the cabin to keep it cool. You’ll mix with other passengers over meals in the dining room or while taking it easy in the lounge, sitting back on the large, comfy sofa. There’s a bar serving both soft and alcoholic drinks as well as tea and coffee. These communal areas have large windows so you can enjoy ocean and island views. 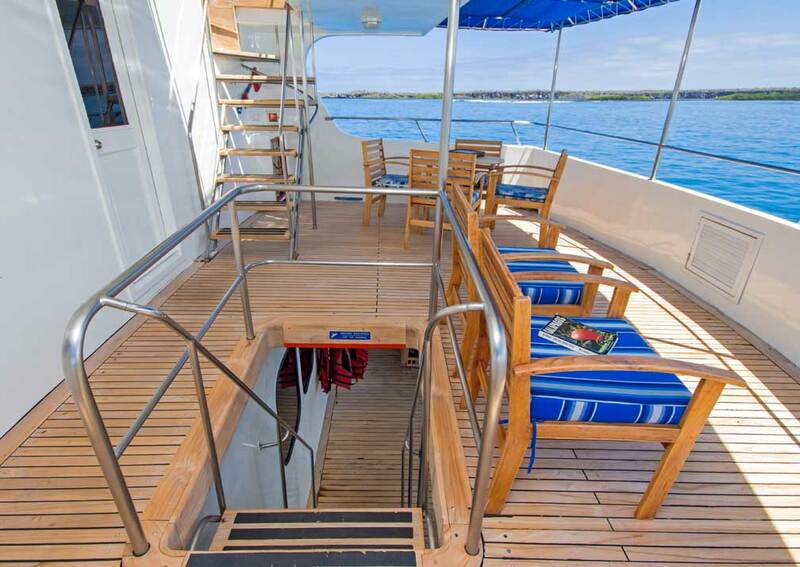 The upper deck has a covered area with tables and chairs and steps leading up to the top deck, which is perfect for sunbathing and unwinding between island visits. 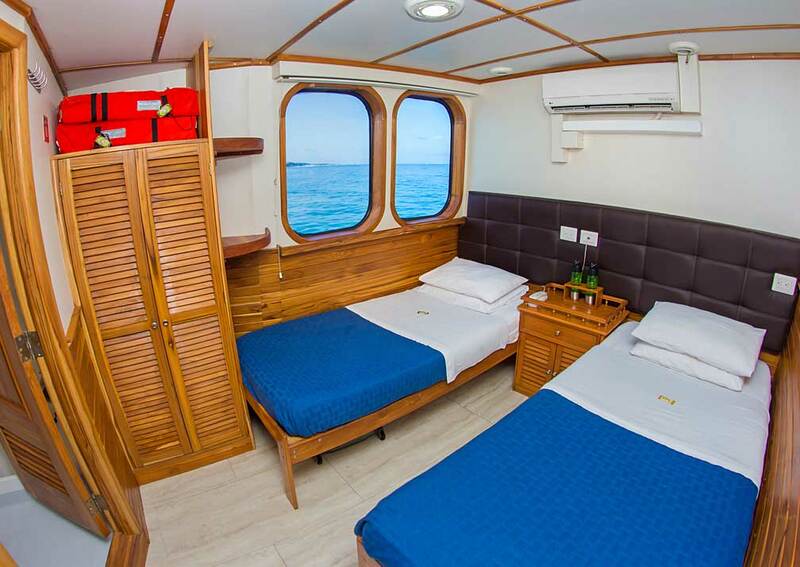 There are 2 suites (A & B) on the main deck, with king size beds, large windows, a sitting area, large balcony, private shower room with full running water and air conditioning. They cover 43 square metres (including the balcony). 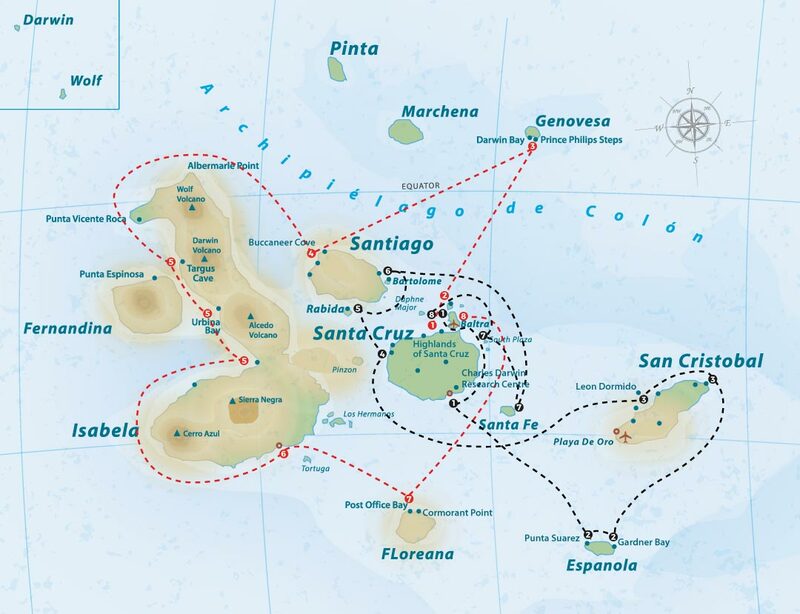 There are 2 staterooms (1 & 2) on the main deck, each with 2 twin beds, windows, private shower rooms with hot and cold water, private balcony and air conditioning. They cover 30 square metres (including the balcony). 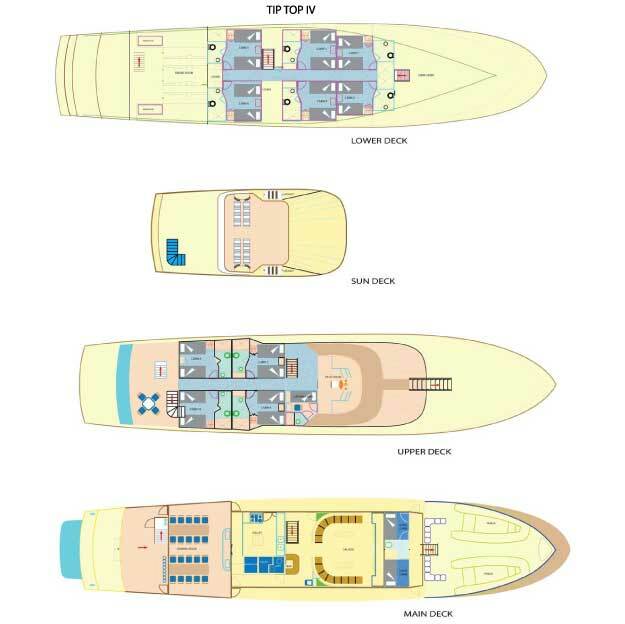 There are 4 twin-bedded staterooms (3 – 6) and 1 single stateroom (7) on the upper deck. All have air conditioning, windows, and private shower room with full running water. 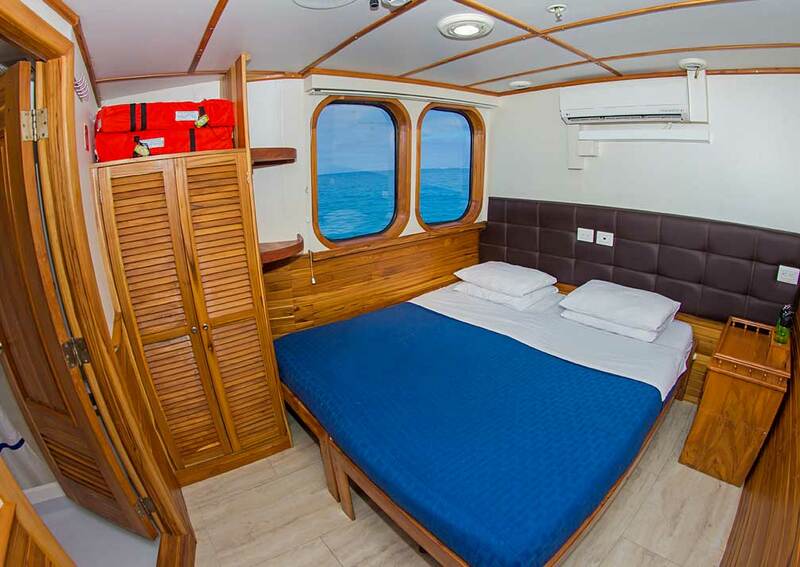 The twin staterooms have private balconies and cover 30 square metres (including balcony), and the single stateroom is 14 square metres. 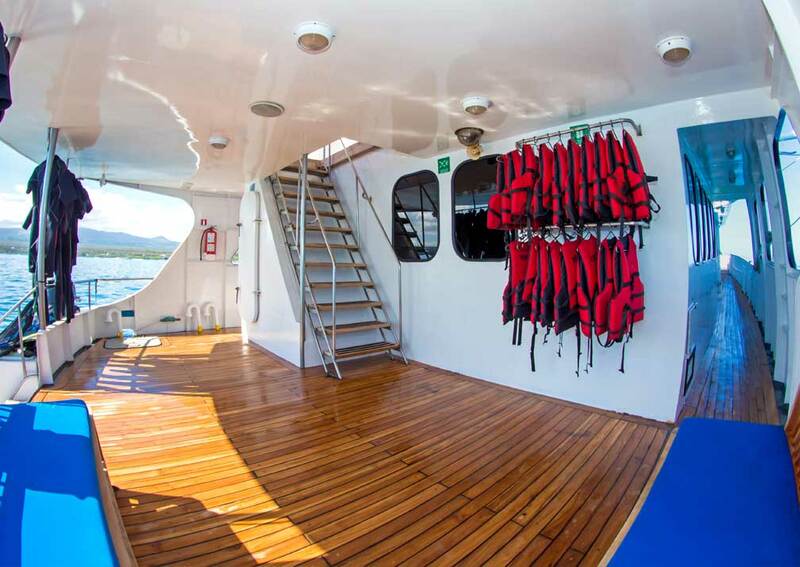 Accommodation: The 10 cabins are all air conditioned, have a locker and drawers for storage and a safe. Each has a private bathroom with shower, toilet and a handbasin. 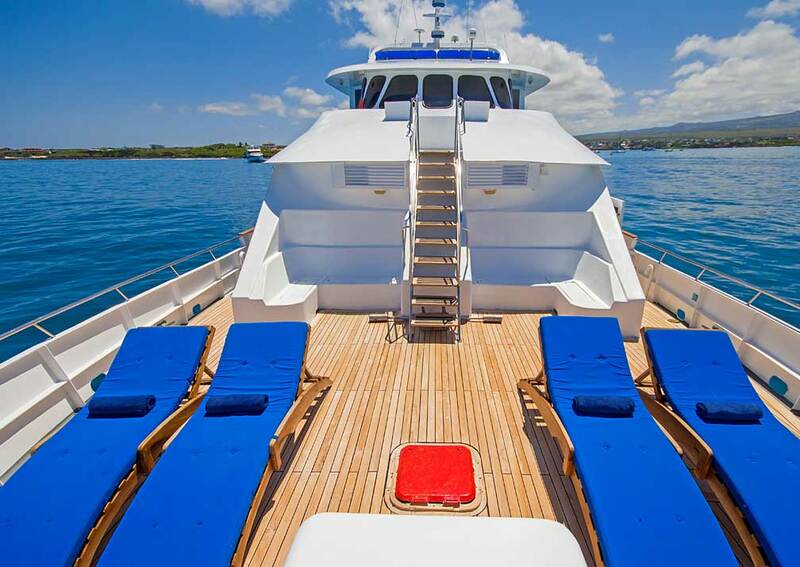 There are 6 cabins on the lower deck and 4 on the upper deck. All have twin beds that can be converted to doubles. 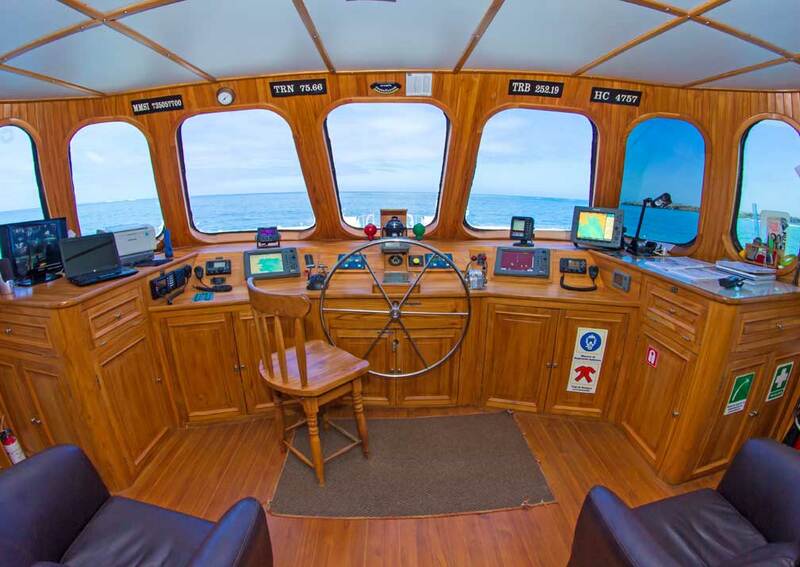 On Board: Dining room, lounge, library, TV, DVD player, music system and a bar. 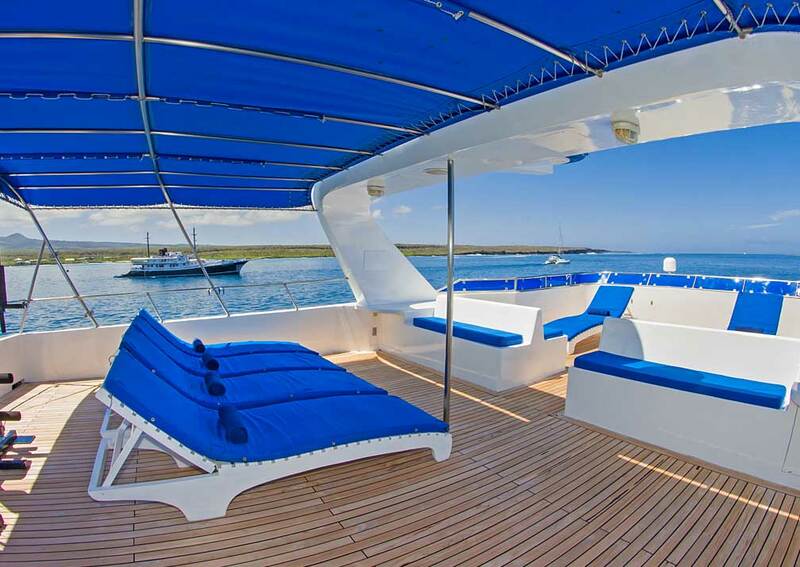 Outside there are covered and open areas with seating and a sun deck with loungers. 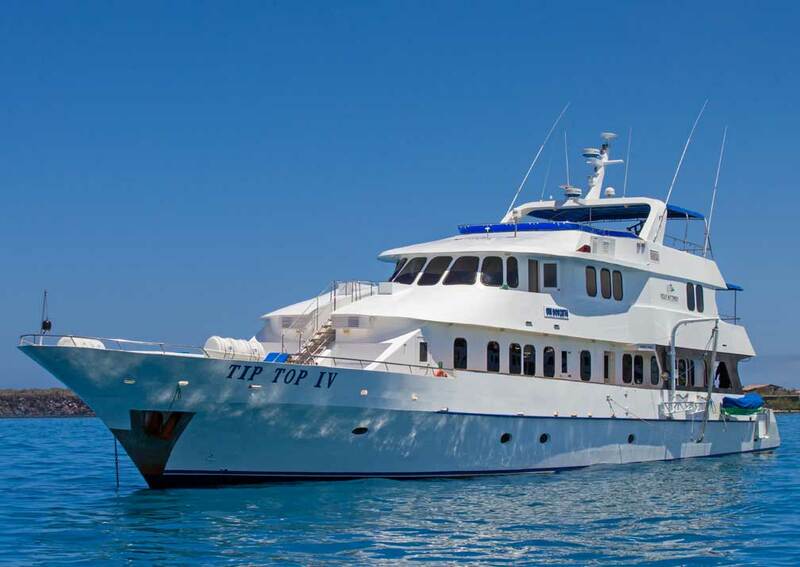 Tip Top IV carries snorkelling equipment and kayaks free for passenger use.